Welcome to the best day of your life. 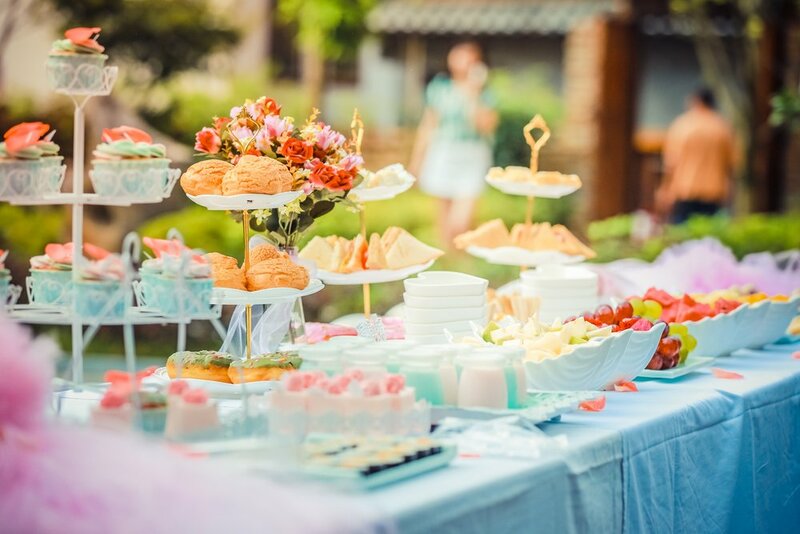 Our event planning services have been expressly designed for the overwhelmed moms, the stressed besties, the confused dads, the guilty workaholics with no time left, the hopeful new parents, and everyone else who has always wanted to throw an amazing party but just needed some extra help to make it incredible. Our event planning and event coordination services have brought our own special mix of event magic to over 1,500 clients in the Ventura County and Northern Los Angeles regions including Westlake Village, Simi Valley, Moorpark, Camarillo, Thousand Oaks, Encino, Calabasas, Northridge, West Hills, Granada Hills, Somis, Van Nuys, Agoura Hills, Valley, and Porter Ranch Regions. We approach every party and event with attention to detail, care, open-mindedness, financial ethics, professionalism, and transparency to ensure that you have what you need to feel confident in both our team and carrying out your extraordinary vision. We delight in bringing our expertise to baby showers, children's birthday parties, brand events, surprise proposals, trade shows, influencer events, weddings, romantic picnics, corporate retreats, movie & TV crew parties, vacation memories, anniversary parties, immersive skills adventures, holiday parties, and bachelorette parties. For the soon to be party host or hostess of the year! Are you feeling nervous, stressed, or confused about how to turn the amazing things you've seen on Pinterest or in magazines into your actual party? Are you working long hours at the office and just can't seem to make time to take care of the family's big day? We're here to help! Our expert party planner meets with you in person to help you hone your vision, identify what is really important to you, prioritize your budget, research and source your wish list ideas (anything from cake tables to camel rentals! ), and present you with a fully actionable road map of where to go to find what you need, complete with item level pricing, contacts, insider tips on what to do when, and photo reference samples to help you to stay focused as you make it happen. 9 hours of expert event planning help spent where you need it - sourcing your wish list, helping to organize your event, recommending local vendors, looking for the right special touches, and acting as a safety & risk management source for creating a memorable and safe spot for your guests. 1 Party Planning Guide - your custom, ready to use, road map of where to find the parts of your dream! Starting at $480 based on location. Vendor fees, rental fees, food, materials costs, etc. are not included. The party of your dreams - designed in a way that is fast, efficient, and distinctly YOU. What would it be like to know exactly what had to happen to make your day a success and have your own personal fairy godmother watching out for you to make it happen? We help take care of your calls, inquiries, and organization with vendors and create your ultimate how-to guide for your special day, taking you all the way to the moment that you open your door to your excited guests. Starting at $995 based on location. Vendor fees, rental fees, food, materials costs, etc. are not included. Additional "day of" onsite coordinator services during the party are available at an additional charge. Have you been so "hands on" in planning your wedding that you're feeling a bit burnt out and now wish you could just enjoy it? Our "day of" wedding coordinator services are the answer! Your personal wedding coordinator will meet with you at least 2 weeks prior to the wedding to gather the details of your wedding day, and get up to speed on your plans, vision, and important notes. They will also do a plan review to make sure that all elements of the wedding day logistics have been thoroughly planned and reserved. During the two weeks leading up to your wedding our coordinator will verify all details and payment / timing information with your vendors, tie up any loose ends, create a master "game plan" schedule of events, and be a friendly point of contact for your wedding party to ask questions of and help be a calm and knowledgeable resource for. Starting at $1500 based on location. Vendor fees, rental fees, food, materials costs, etc. are not included.